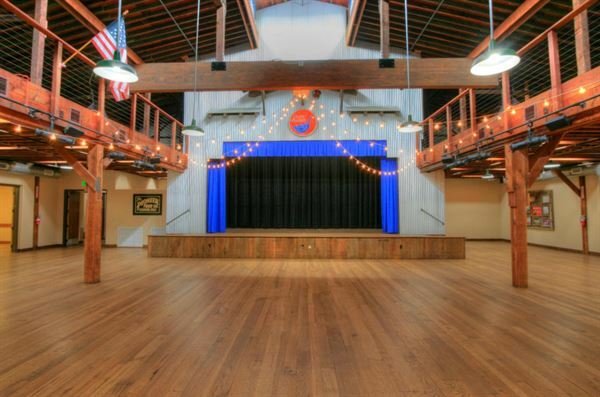 The Blue Goose Event Center offers a casual, historic setting for up to 275 people. Perfect for your wedding, fundraiser, concert, reunion, corporate meeting or conference, and you can decorate to suit your particular event. It’s conveniently located only 30 minutes east of Sacramento off I-80. Monday – Wednesday | $600 + $500 Security Deposit Thursday | $800 + $500 Security Deposit Friday | $1,200 + $500 Security Deposit Saturday | $1,400 + $500 Security Deposit Sunday | $900 + $500 Security Deposit Please see website for additional information. The room is 900 sq ft. Max occupancy is 49 people. All tables and chairs are included. It has a prep- kitchen only so caterer or bring in your own food. We have 2 65 inch monitors and sound system. Atmosphere/Decor: It is an old fruit shed built in 1945 that has been converted to event space. It has an original scale that weighed the fruit before being shipped and other artifacts that create a 1940's atmosphere.